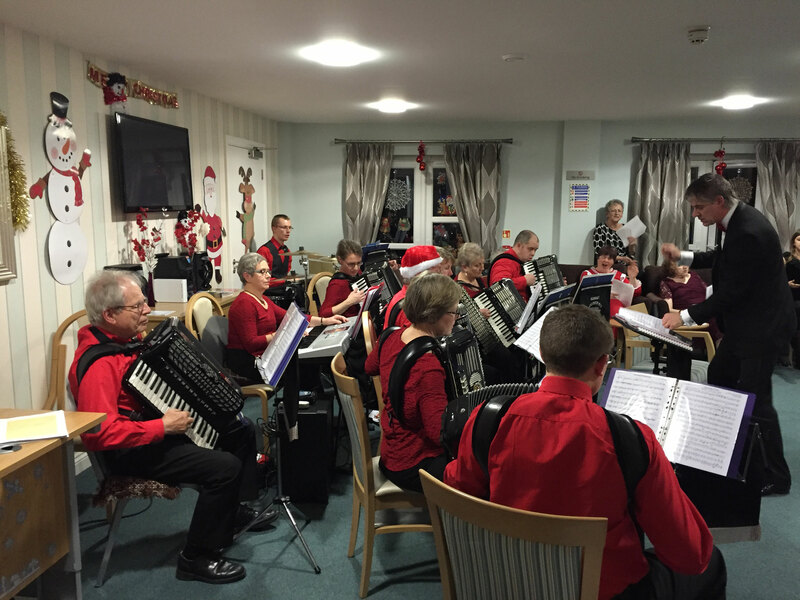 KENNET ACCORDION ORCHESTRA Est 1984 - Website of kennetaccordionorchestra! 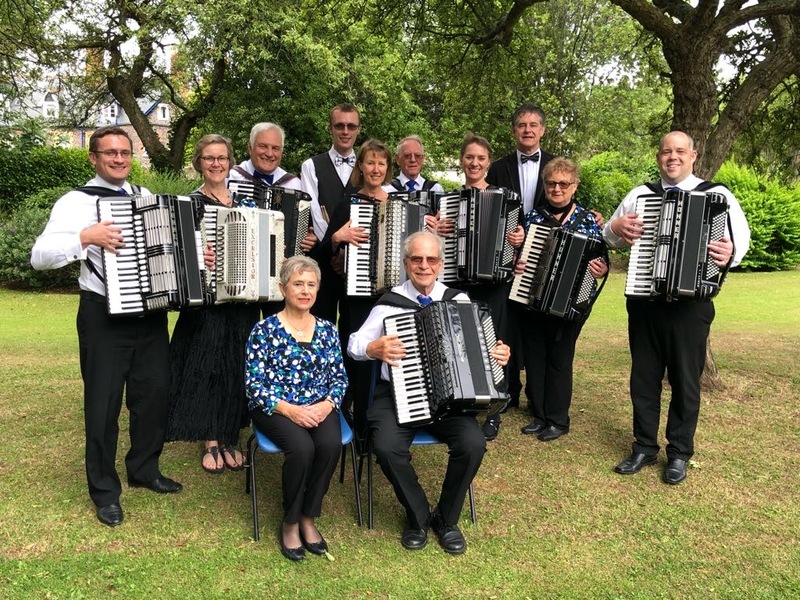 The Kennet Accordion Orchestra, now based in Hungerford, Berkshire has been established for over thirty years, comprising enthusiastic accordionists of mixed playing abilities from Hungerford, Newbury, Kintbury, Swindon and Great Somerford. 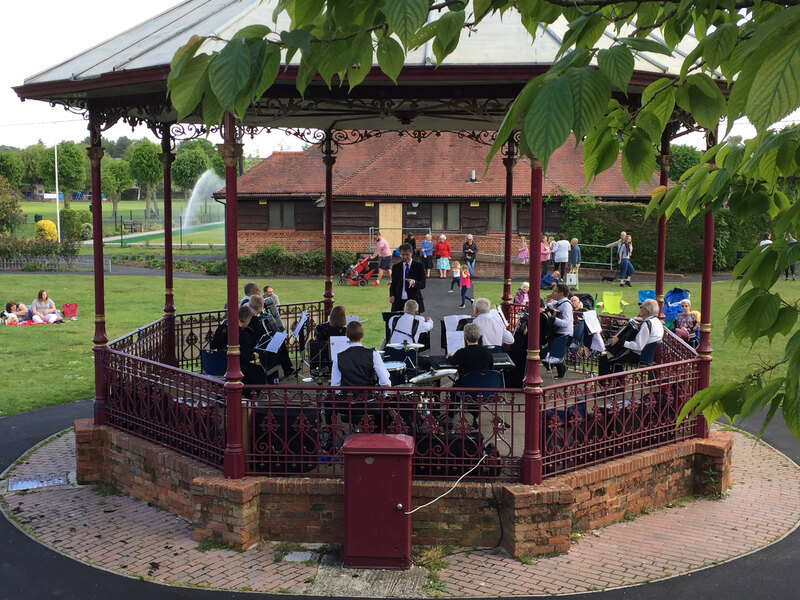 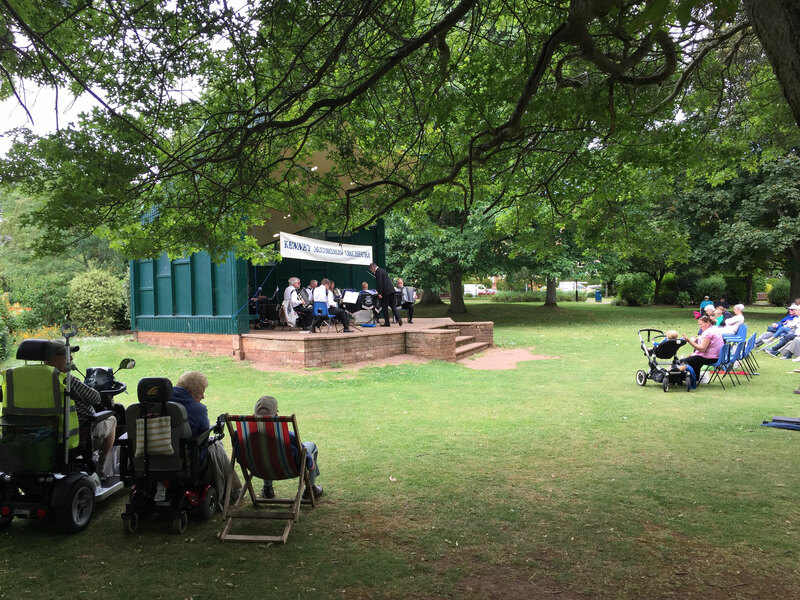 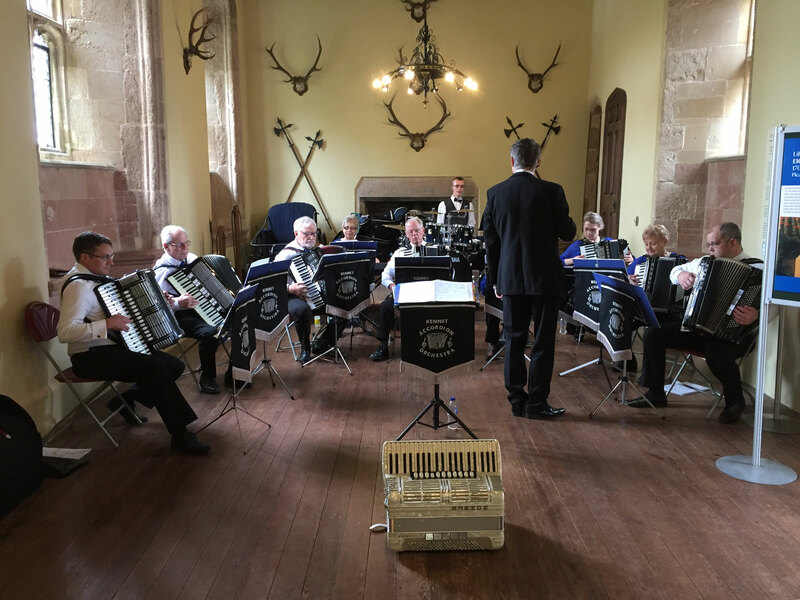 Our common passion for the accordion has enabled the Orchestra to perform at numerous venues supporting local charities and fund raising activities, as well as competing at a number of Music Festivals nationally. 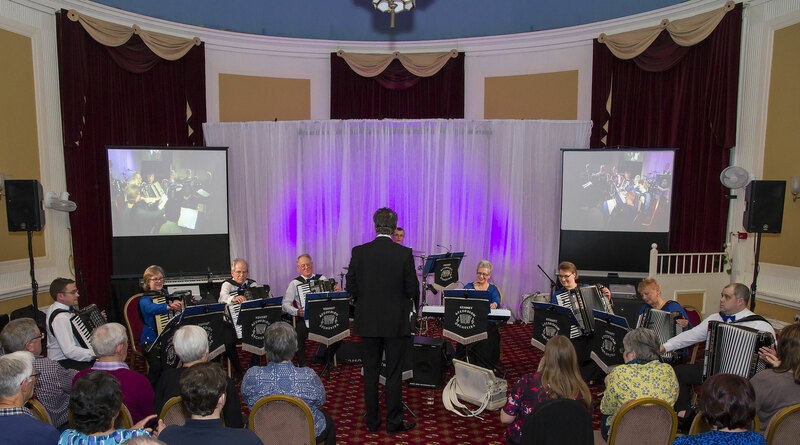 Also we have had several international tours, performing at some quite stunning venues. 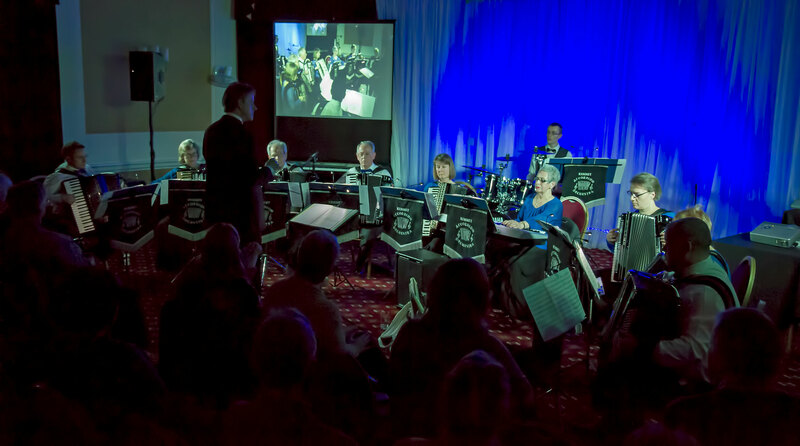 The Orchestra's Musical Director, Nigel Pasby, has arranged a lot of the music himself, increasing our vast repertoire which the Orchestra rehearses extensively. 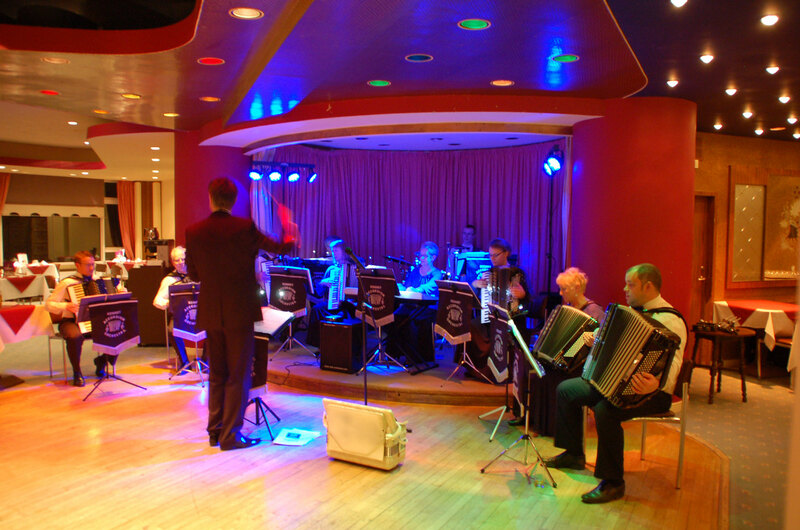 We play music from the movies, pop, classical and musicals. 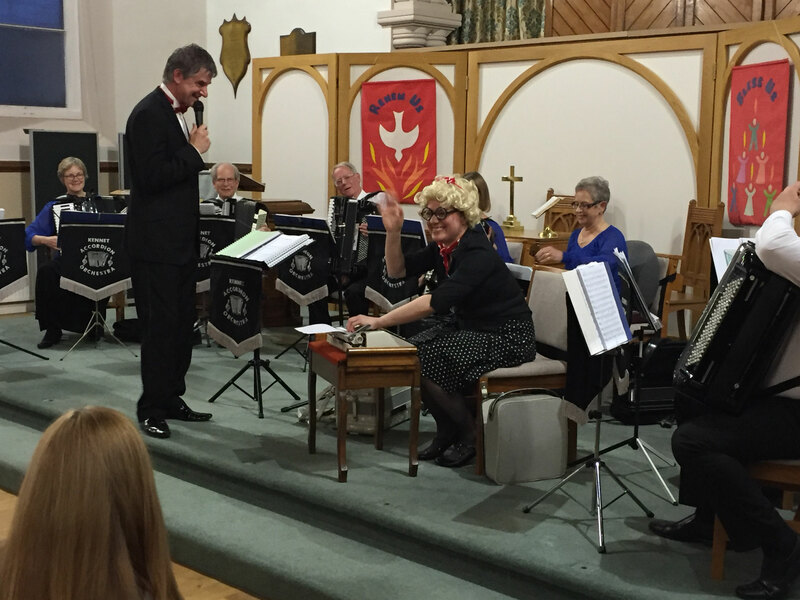 If there is a piece of music that can be arranged it will be used!. 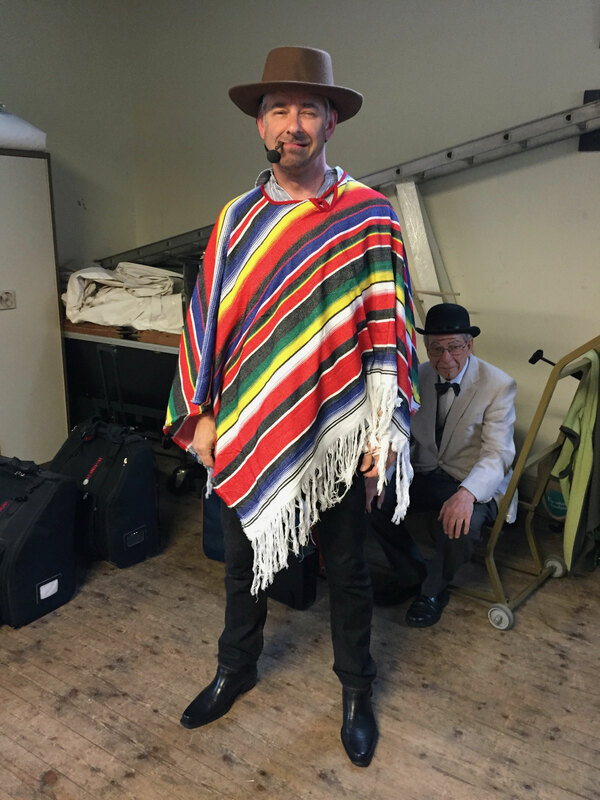 Nigel cites Mozart and Mercury (Freddie) as two of his major musical influences and this diversity is reflected in our performances. 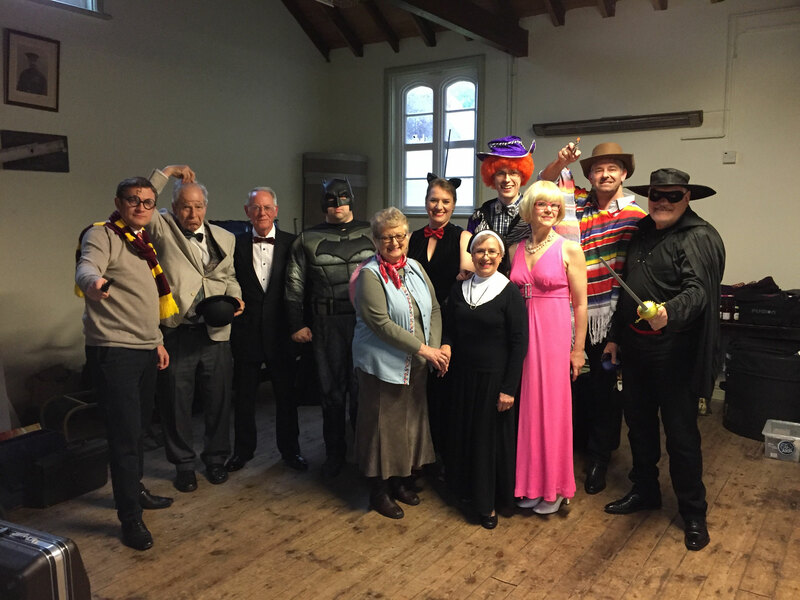 Many of you will have listened to us before and we thank you for your support. 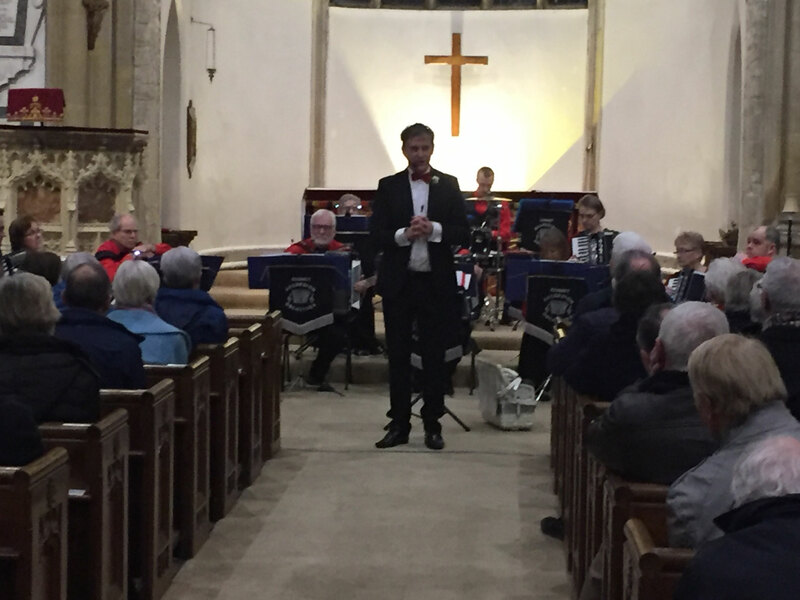 For those of you who haven't, we look forward to welcoming you at one of our future concerts and do hope that you enjoy the experience . 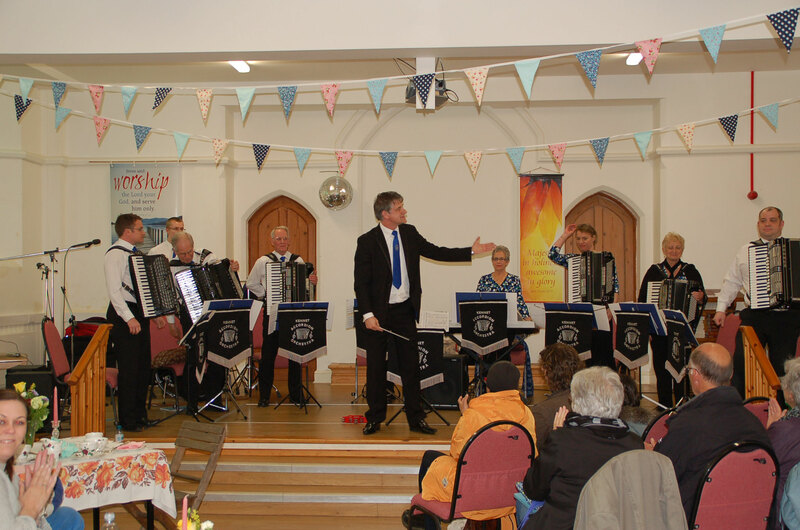 In the meantime, please browse our website for further information on the orchestra and the world of accordions. 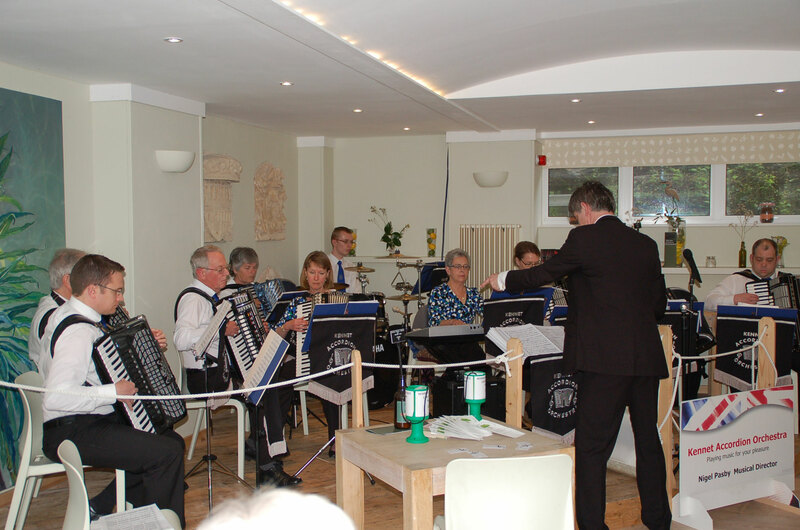 If you are interested in booking the orchestra to support your event, please reach us via our Contact Us page.